My last pre-holiday post about ‘the last of my summer sewing’ was clearly a lie. I’ve still got a couple things to share with you! (My addiction to sewing summer clothes really hasn’t abated one bit). The first of which are the Portobello trousers from Nina Lee. 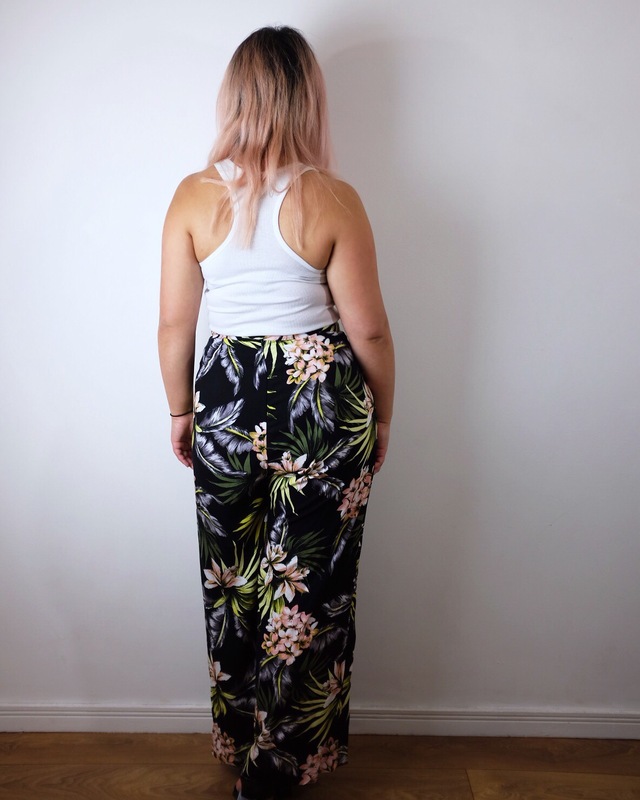 These trousers have been in my sewing queue for way too long! 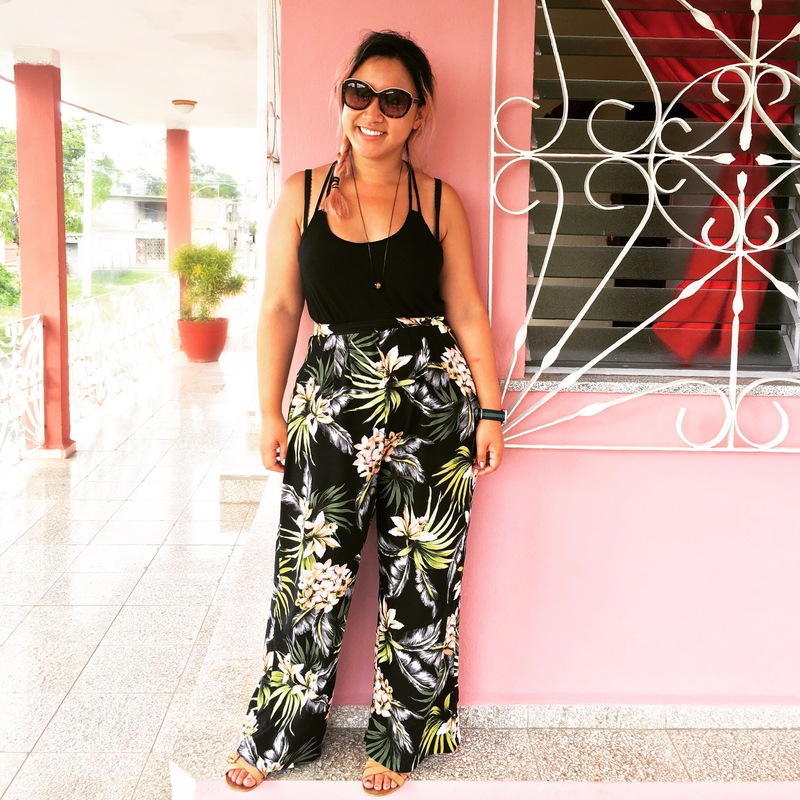 My trip to Cuba though prompted me to push them up a bit though because I knew they’d make the most perfect holiday trousers. 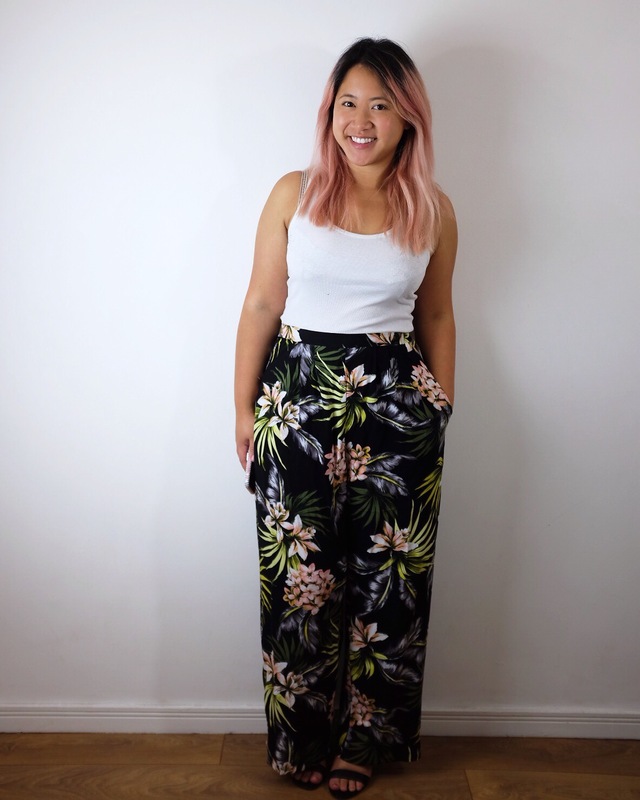 These trousers are high waisted and wide legged – they’re kind of like a palazzo pant if anyone still calls them that! I loved the sample Nina had made in the floral viscose (check it out on her website here). They just seemed so flowy and glam whilst also being good for hot weather climates and modest for those days when you’re visiting temples and churches. I actually have some of the same floral print viscose, though in a black colourway not blue. I had picked it up as a remnant piece from the Fabric Godmother and I was heartbreakingly short by about 30cm! There was no amount of manipulating that would allow me to wrangle those pattern pieces onto that fabric! In the end I had to set it aside for another project and instead, I used a different botanical print viscose I picked up from Walthamstow market. It’s still nice, just not quite what I’d planned! It’s a really simple pattern to use, there are a couple of darts on the back legs and pleats on the front with inset pockets. There’s plenty of ease through the hip and legs and the only fitted area is the waistband which is perfect for my body shape. The instructions are clear and easy to follow – definitely suitable for beginners. The only thing I would question is that the interfaced half of the waistband sits on the ‘facing’ side of the waistband and not the outside. I think (at least with the fabric I used) it would have been better to have the interfaced section on the outerband. Or maybe I should’ve just interfaced the whole thing… It’s worth taking it into consideration if you’re using a lightweight fabric like me. I LOVE these trousers. They feel like wearing pyjamas but look like I could be going to somewhere fancy for dinner – exactly what you need on holiday! They really went down well whilst I was in Cuba! Lovely trousers, aren’t they flattering? 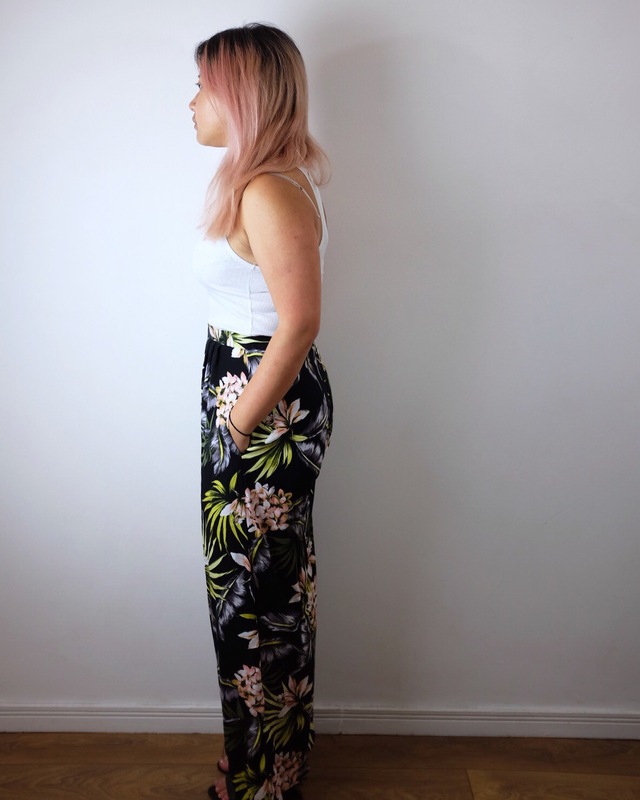 Beautiful trousers – they fit you so well and such amazing drape! Gorgeous pants! I feel like I should give those a try. These are gorgeous! As you said they look elegant but are super comfortable.